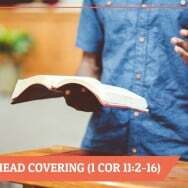 The Student Theological Society at the Reformed Presbyterian Theological Seminary hosted a presentation on the head covering position by pastor Steve Bradley. You can stream the lecture above or click here to download it. Additionally you can listen to it on YouTube at the bottom. Pastor Bradley was a founding member of Providence RPC and was ordained and installed as a ruling elder of the congregation in 2000. 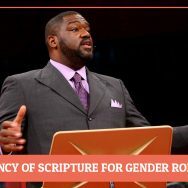 Upon completing his seminary training at Reformed Presbyterian Theological Seminary, he was called, ordained, and installed as pastor to Trinity RPC in Beltsville, MD in the summer of 2002. 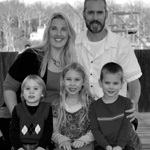 After serving Trinity for 11 years, he received a call from Providence RPC which he accepted and was recently installed as pastor in January 2014. He and his wife Julie have four children. There is a Q&A between 50:55 – 1:04:30 and from 1:41:55 until the end there’s comments and more questions. NOTE: The views articulated here are that of Steve Bradley, which is not the official position of the host seminary. 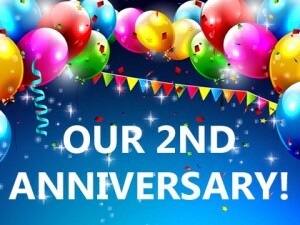 It’s our 2nd Anniversary today!